While you can generally purchase a set for around $60-70, if you have the time and tools, you can build one for around $20. It is also light weight and compact for travel. Cust the piping in the cust list: 12x 12" pieces, and 18x 24" pieces. If your piping is flared at the end (so that they can piece together without a fitting), you will find you are 3' short if you only buy 5x 10' pipes. Don't worry if you aren't 100% accurate, you'll have a little room to play. Paint the piping (optional): recommended to do a partial assembly before painting to ensure propper fit. 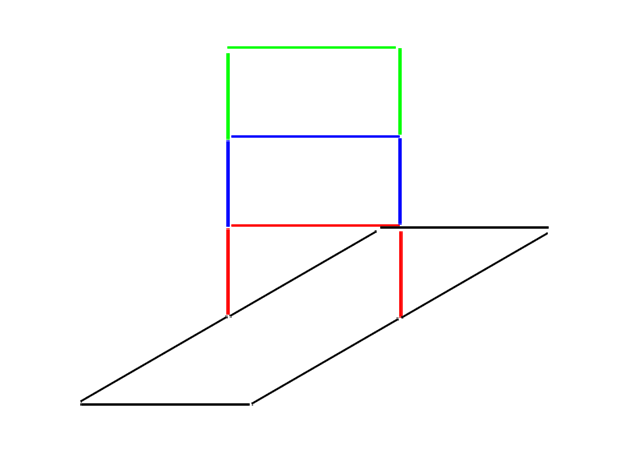 I assembled the "ladder" section in 3 U shaped pieces and painted them red, blue and green. I then painted the base black. 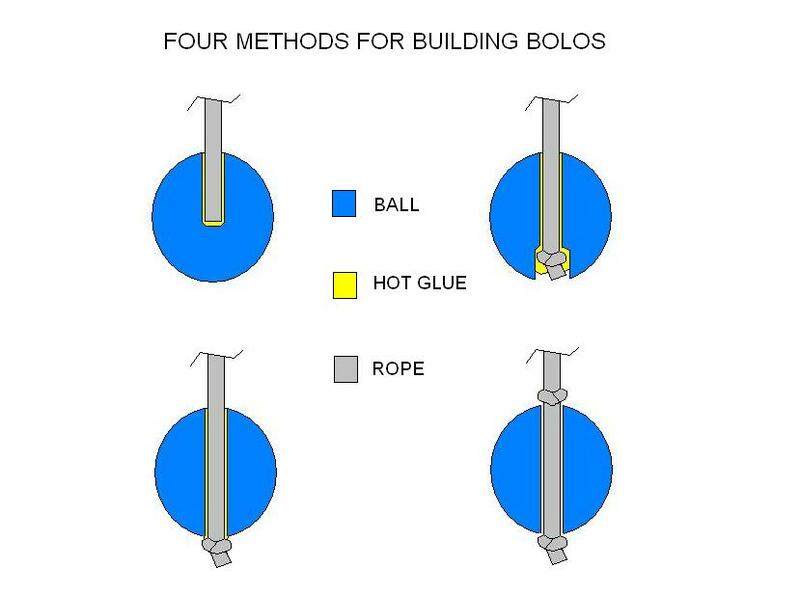 Assemble the bolos: Using a table clamp (or other suitable clamp) to hold the golf balls in place, drill a whole through each of the 12 golf balls. Make sure the holes are large enough to accept your rope. Cut 12x 13" sections of rope. Put the rope through the golf ball, using the hot glue or epoxy to affix it in place. There are several methods you can use to do this, not all require hot glue.